Discussion in 'Cherry Shrimp' started by Will Sullivan, Apr 10, 2017. Looks nice! How big is the tank? Well it looks pretty densely planted so some of the babies will probably survive. I keep RCS in my community tank with guppies and cardinal tetras the guppies could care less about the shrimplets. 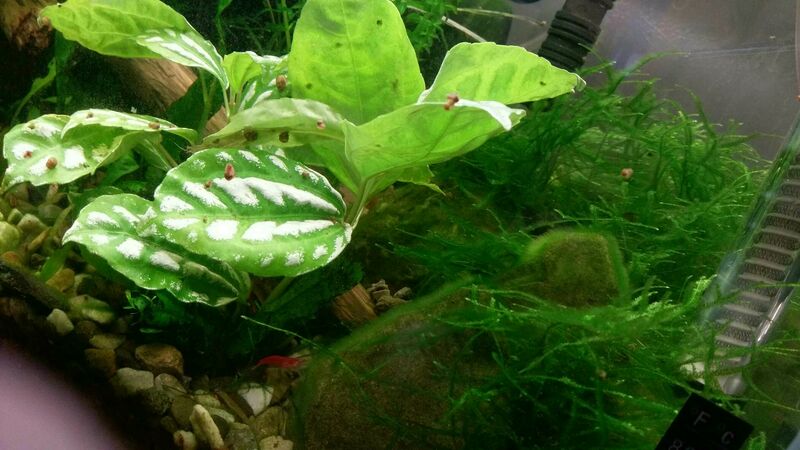 And the shrimplets are usually to fast for the tetras to catch.